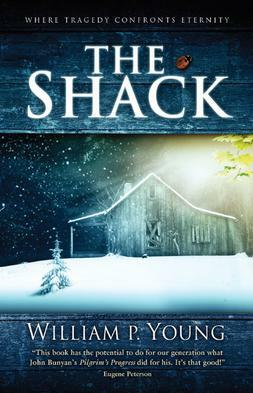 I'm seeing reviews for the movie, The Shack, and most of them talk about how it's not a great movie because it has many Biblical inaccuracies, as well as areas where it speaks to what the Bible doesn't say directly, and fills in with conclusions that have been drawn without consistency with Biblical teachings. Christian reviewers would say, "Don't bother seeing it." I have a different view. I read the book when it came out because so many people told me how amazing it is/was. True, there are inaccuracies, but there are also little gems where concepts that we all wonder about are explained in a way that makes them easier to understand. Where are the Biblical inaccuracies? Where are the doctrinal untruths? What strikes you as being wrong here? What about this particular part of the book is biblically right or wrong? Is there anything here that seems wrong, but you're not sure why? How can we take what's good from this and throw the chaff to the wind? As Lutherans we have a tendency to tell people not to see it or not to read it instead of teaching them to do so with a filter. We don't give them or strengthen their filter. That's one of our biggest problems, telling people "It's wrong. Don't bother reading/watching it." I say, do it. Read it. Watch it. Do it together. Teach them to take what's good and throw away the chaff. It's important that they learn to think and see false teachings on their own.